Like all Define Jackets, these are very fitted to the body but the coco pique version is slightly more softer and has a nice amount of stretch, more so than my herringbone version. Fit is still true to size. 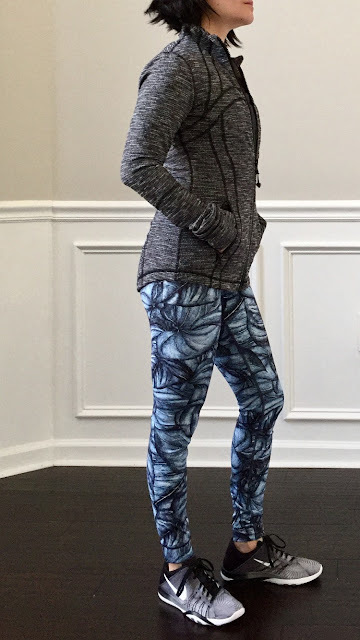 I also wanted to take better photos of my new Wunder Under Hi-Rise Tight. 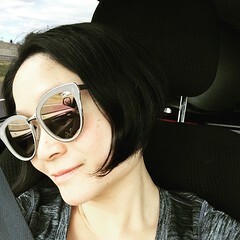 This is my first pair in this particular version of WU. I love that the inseam is only 28 inches. This means I do not have to hem these! Perfect, even for a shortie like me! They scrunch just the right amount and no baggy ankles. I've already worn these a bunch of times and did a BBG workout in these and they're so awesome. I'm a fan of nulux and these feel like I'm not wearing anything. 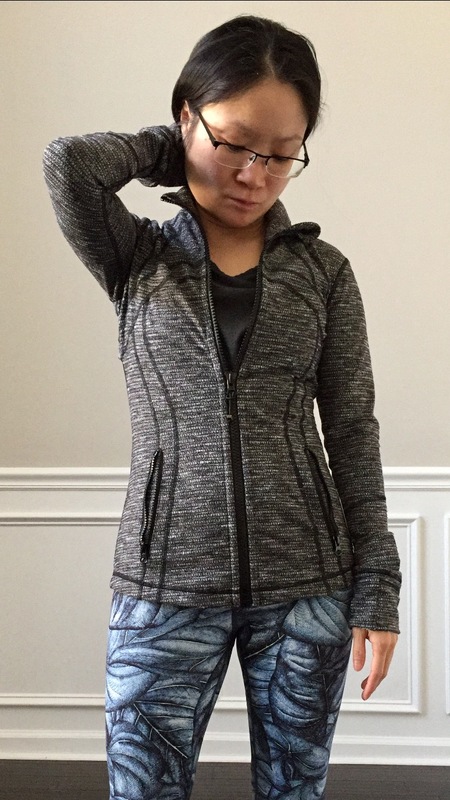 Super comfortable and I love the cool feel of the fabric, since I tend to run hot pretty easily. These are hi-rise and they come right up to my belly button. Compression is very light and are opaque in the bend over test although they do stretch to white in a deep bend. The colors are just so vibrant in real life, they do not disappoint. 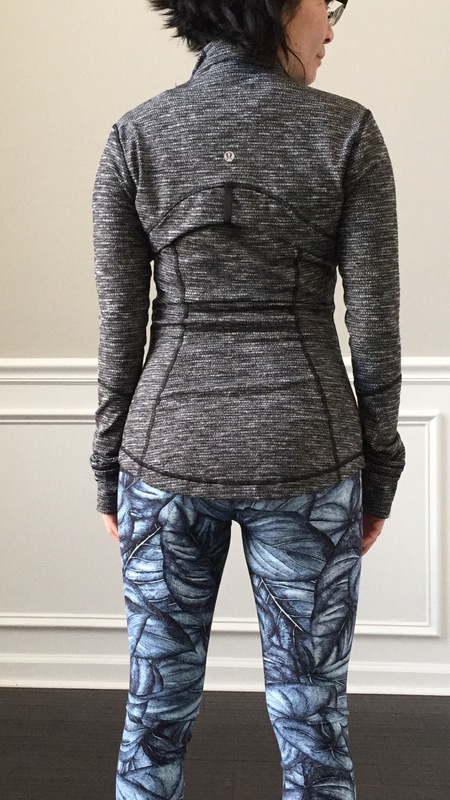 I've noticed Lululemon updated the photos with new ones. I think they are much much better than the washed out version they had a couple of weeks ago. These are definitely not for running. I did try to run in these just to see if they would slip down like I've read in some reviews. They did slip, but only just a little, but enough that it would bother me if I had to run for a long period of time. Next, Swiftly Racerback in the black/white. Just wanted to show a couple of more photos of this outfit I put together. I'm wearing my Werkshop leggings in Onyx. Just out of curiosity, how many of you still have not tried on a pair of Werkshop leggings yet, but want to? And if you have not, what is stopping you? I finally bit the bullet and bought a Vinyasa Wrap from WMTM. 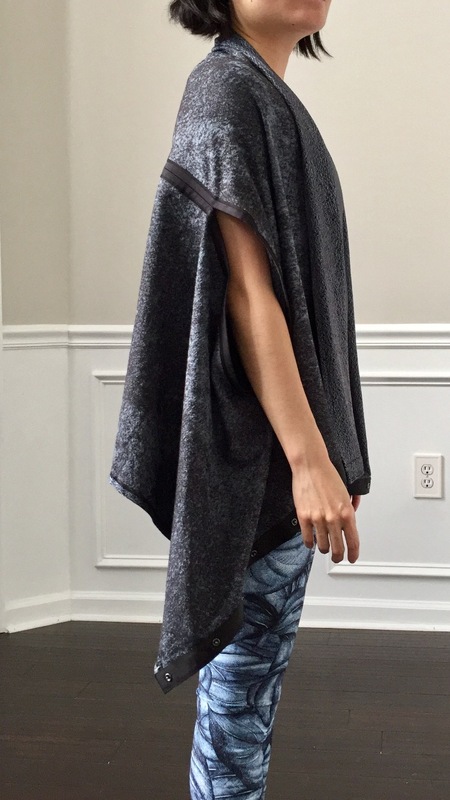 I'm a huge Vinyasa Scarf fan and wanted to see what the difference was. You can still wear it around your neck like a normal Vinyasa Scarf. I tried to style the wrap in a few different ways, just to see how it looked on my petite frame. I think I almost got this drape to work fairly nicely. The color looks great with the concrete jungle print. 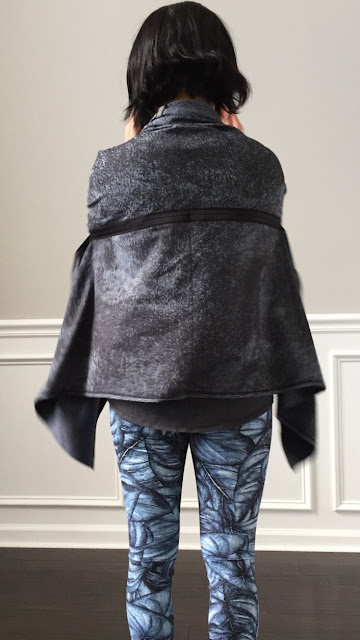 The major difference between the scarf and the wrap is being able to wear the wrap like a cape/poncho. I initially thought having that stripe across the back was a little weird, but now I kind of like it. I also wanted to show the two different sides of the scarf. I love the second side more because of the gritty look of it. The top version is very pretty and clean look at, but the bottom just looks very dark and head turning. It makes you want to touch it. At least for me! Hope you all have a great weekend! I'm super excited to get my Fast and Free Crop and Tight tomorrow. I hope one of them fits me, particularly the crop. Check back next week for my review! Ohhh is it the heathered vapor one? I was totally eyeing that myself. Is it very soft? If I get another hoodie, I definitely need to off some of my old ones on ebay! Ohh okay, yeah I agree I definitely prefer the Scuba 3 over the Scuba 4. I'm surprised the stores still carry the 3. I don't think I've seen one lately? I never liked the Scuba 2s because they felt too restricting for me. Scuba 3 was perfect. Woo i fancy your wup concrete jungle!! I love the placement on yours. Some others have "almost" identical placement on each side of leg and looked awful. If the price stayed at $98, I'd bought them already but I can't believe it went up to $128 and i don't want to spend that much since it was already $98 once. I think it was an error at $98. I was pretty lucky I snagged it before they changed it to the correct price. I think all Nulux pieces cost roughly $30 more than the usual prices. It is pretty steep, that's why I only buy if I really love it! 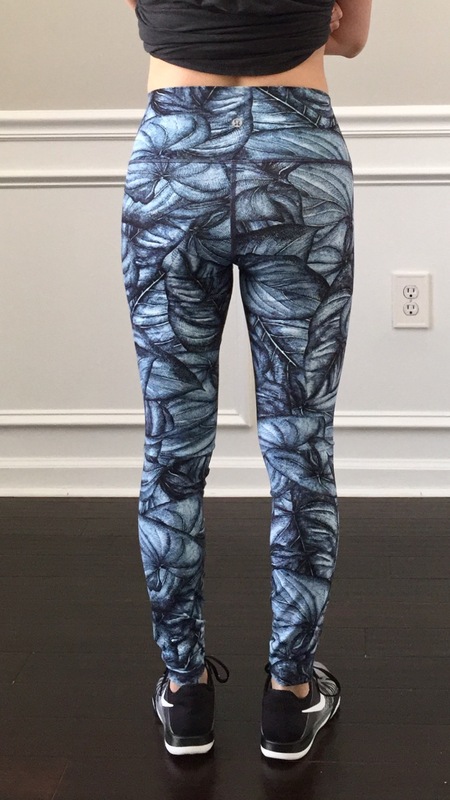 I think you can pull off the crane leggings from Werkshop. Plus you can always return it for something else down the road? How's the new job going? 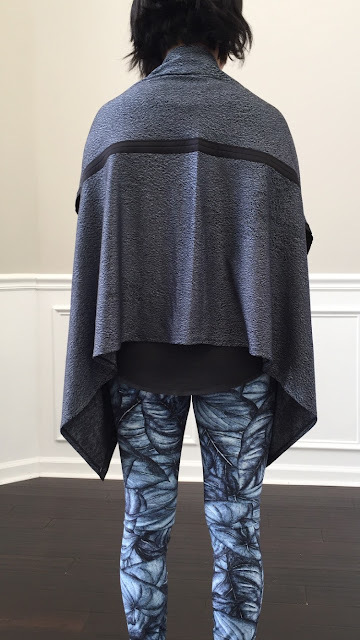 The Vinyasa Wrap looks like something perfect to keep at the office. Can't wait to read your Fast & Free review! Please try to run around in the crops if you can and let me know if it slips? Thanks! Thanks Shelley! Go for it and rock the outfit! New job is awesome. I love it here. The building is actually going on renovation at the moment, but we're moving back in next week. I'm going to have the best desk in the entire office! I can't wait to see the finished results. Will totally take a photo when it's all ready. And yes totally good idea about keeping the wrap at the office. I think I will! If I end up keeping either one of the Fast & Free bottoms I will totally do a test run in them for you!